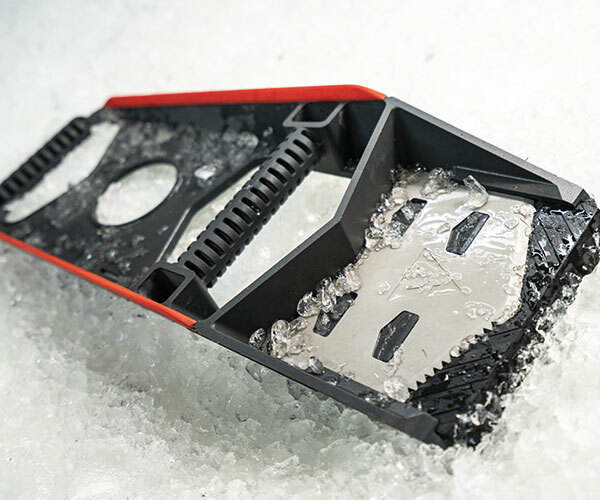 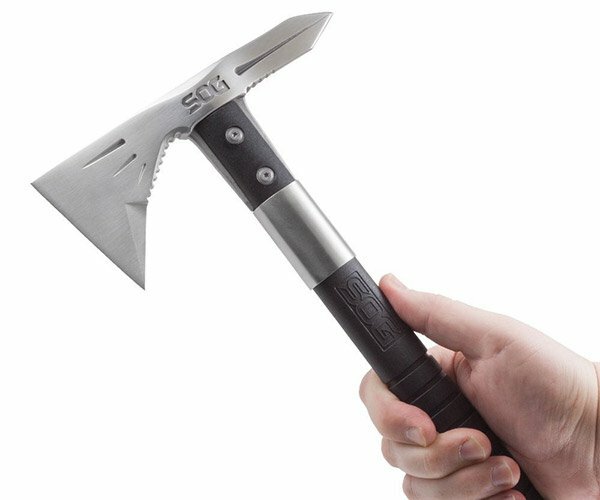 This compact (8″ long) tool features a unique head design with multiple sharpened edges for versatility. 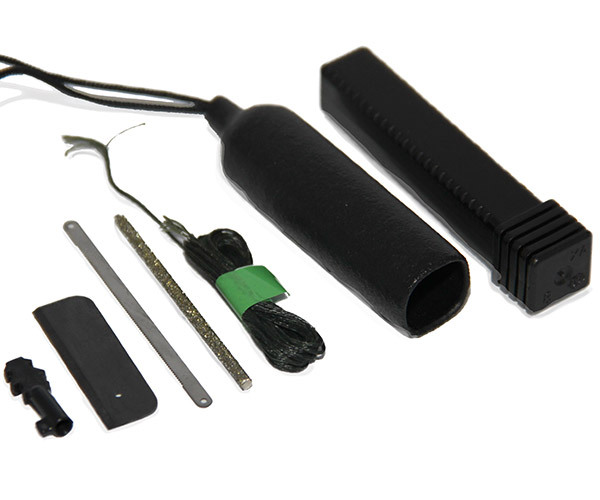 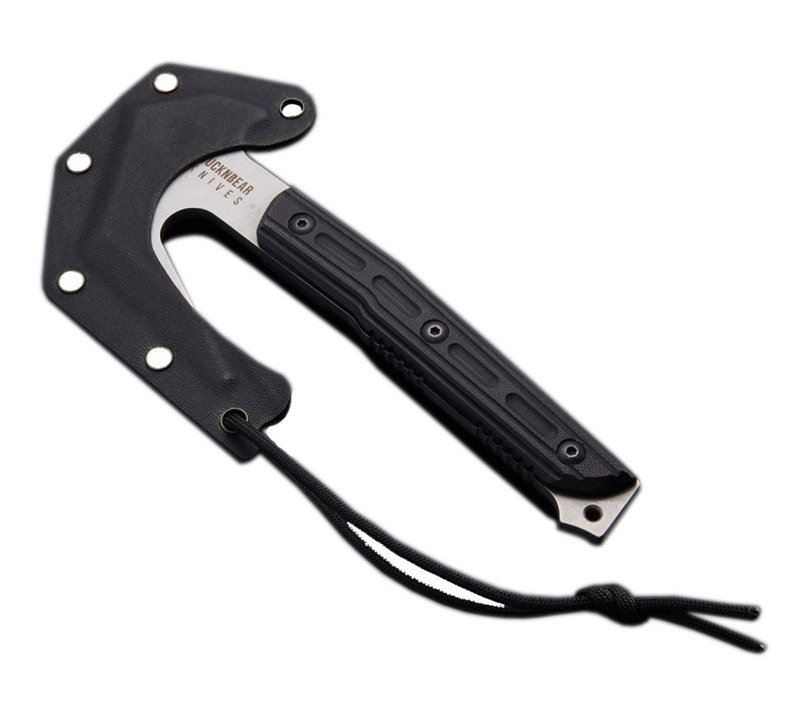 It’s made from durable 440C stainless steel, and comes with a Kydex sheath for easy carrying. 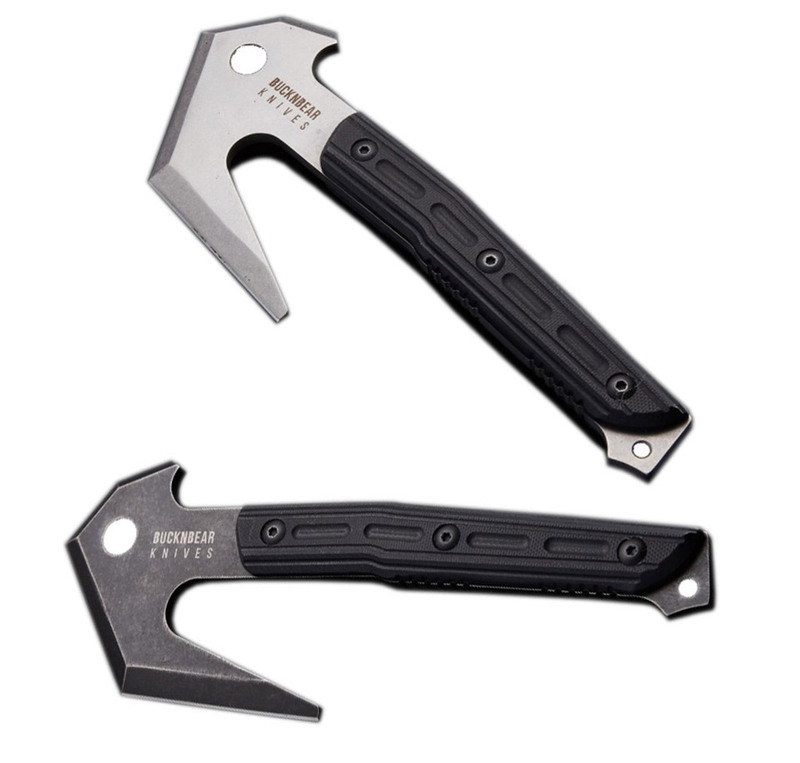 Available in silver or stone-washed black finishes.